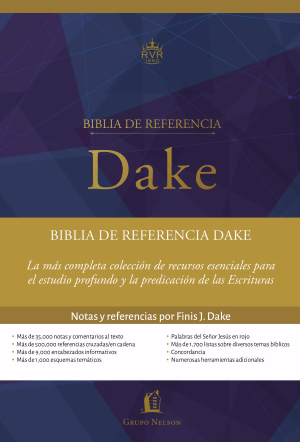 The Spanish Dake Annotated Reference Bible – Biblia De Referencia Dake RVR60 in Leathersoft. What does the word Annotated mean? According to the Merriam-Webster dictionary, annotated is defined as: “to make or furnish critical or explanatory notes or comment.” All Dake Bibles are Annotated Reference Bibles. 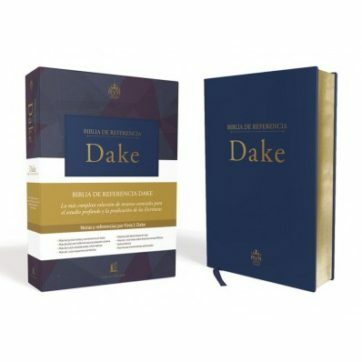 The Dake Bible has over 35,000 commentary notes written by Finis Jennings Dake, which required thousands of hours of work, a lifetime of study and most importantly – the empowering of the Holy Spirit. The notes alone, or annotation, make the Dake Large Print Bible not just the most in-depth pentecostal Study Bible, but the most in-depth Study Bible in general available.